The winter season is DEFO giving us some major travel goals! And if you’re someone like us who loves travelling, this list is for you! Because with the festive season already in full swing, there’s no reason why you can’t go for a short getaway. 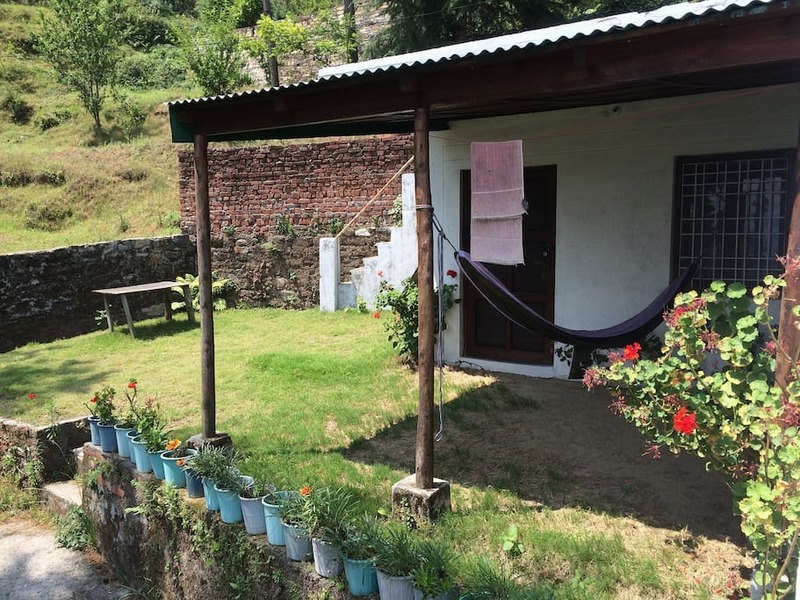 So, to help you plan your vaca right we listed some beautiful homestays that charge INR 4,000 or less a night! On a nocturnal mountain path, illuminated by the shimmering of a million stars is a cottage called The Green Garden in Almora. The beauty of the place gets better with its beautiful surroundings – mostly the green expanse and the Himalayas in front! With a chic little balcony overlooking the heavenly view outside, the cottage is the perfect family or friends’ getaway. 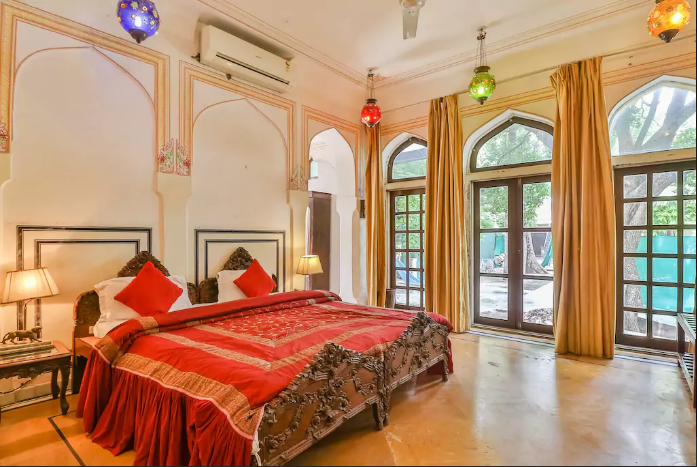 While the rare heritage homestay (owned by a wealthy yet, down to earth Rajput family) only offers one room, the spacious ambience of the homestay is enough to charm you into staying here for a much longer period of time. Looking out the window the place is generously surrounded by the green cover which is perfect for you! Listen up, urban nomads, we’ve found you a beautiful, comfy backpackers’ hostel in Udaipur! And its ambience coupled with the simplicity of the place is beyond charming! 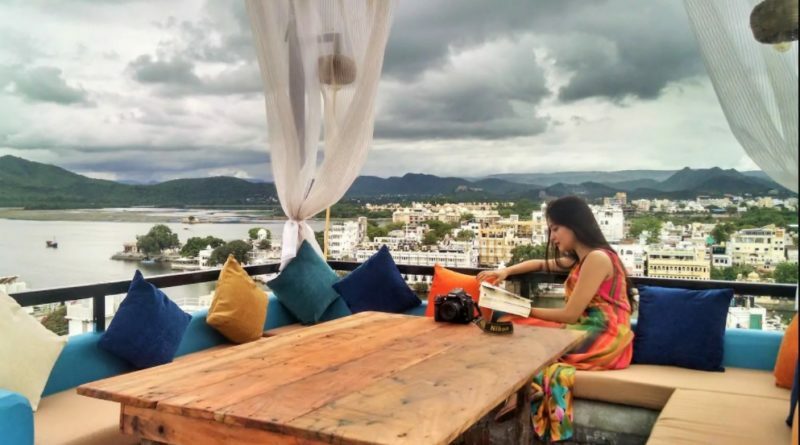 With a serene view of the lake, a cool breeze gently kissing your cheeks and an eclectic view of the city down below – this hostel near Lake Pichola is mind-blowing! Dalhousie is one of the best places in North India for peace out sessions! Besides the hilly tents and a constant lookout for shooting stars, what we have in store for you is ‘THE’ adventure of your life. Imagine sleeping right next to the foothills, waking up to a beautifully rich valley of green expanse and the chirping of exotic birds! Sounds pretty interesting, doesn’t it? So, where are you headed this winter season? Will you choose the warmth of Rajasthan or the chill of Himachal Pradesh?